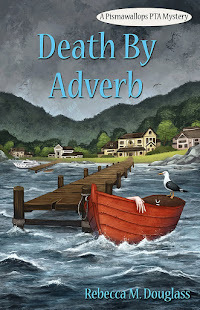 Natalie Barnes is worried enough about making it through the winter with her new B&B on Cranberry Island, without threatening developers, annoying guests (including her ex-fiance), and issues with her best friend. Murder on top of that is enough to make her think about going back to Texas. Fortunately, Natalie thrives on mystery, and she's hot on the trail of the killer, who may be hot on her trail as well. I'll be honest: I nearly quit this one. 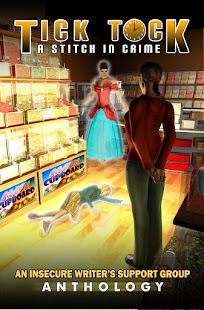 Soon after the first murder, we were handed once again the idiotic and heavy-handed cop who tried to blame Natalie for murder in the first book of the series. Then her former fiance shows up and she acts like a teen-aged ditz for a few chapters. It was enough to aggravate me, but I did kind of want to know who did it, so eventually I picked it up again and finished. I have to say the book finished much better than it began. The mystery is solved, and there's a bit of excitement. That said, I'm not sure that I'm wholly satisfied about the mystery, and there are some connections I find rather tenuous. The book is pretty well-written, and I like the setting, but...this is a series I'm not apt to continue. The gratuitous appearance of a ghost is something of a deal-breaker for me, as I really dislike that kind of thing. I think there are better mystery series out there, but if you enjoy the setting (Maine coast) and are not put off by either idiot cops or women who remain attracted to total jerks who are bad news, this is worth checking out. If you liked the first book in the series, stick it out to the end of this one, because things do seem to be looking up. 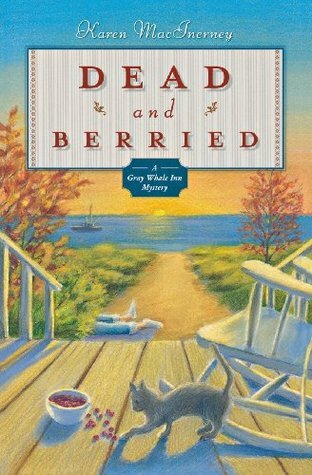 Full Disclosure: I checked Dead and Berried out of my library, and received nothing from the writer or publisher in exchange for my honest review. The opinions expressed are my own and those of no one else. I am disclosing this in accordance with the Federal Trade Commission's 16 CFR, Part 255: "Guides Concerning the Use of Endorsements and Testimonials in Advertising." Thanks! I do try to be balanced, and if I don't like a book, see who might. If I really think a book is bad, I'm unlikely to review at all, having been well brought up to the "if you can't say anything nice, don't say anything" school. An exception might be giant bestsellers that I think are really bad (I figure the author doesn't care about my comments at that point!). But that doesn't happen much, because I don't read those books as a general rule.